Robstown Animal Care and Control is responsible for the enforcement of city ordinances and state laws pertaining to animals and fowl. Animal control is dedicated to educating/informing the public of their responsibilities to their animals, their neighborhood, and ultimately to their community, then enforcing the ordinances of our city when our education efforts are not enough. Animal control strives to reduce the dangers and nuisances caused by irresponsible pet ownership and to protect pets from abuse. The mission is to provide humane education to the public, promoting responsible pet ownership and humane treatment of all animals, and to provide the enforcement of city ordinances and state laws pertaining to animals and the welfare of the citizens of Robstown. Our pet adoption fee is $ 46.00. This fee includes a rabies shot and city license. When adopting, all animals must be spayed/neutered within thirty days of adoption pursuant to state law. Q: What should I do if I see a stray animal? A: When calling the City of Robstown Animal Care and Control Department about a stray animal, please give a detailed description of the animal (Breed, Color, Size, Collar, Tags, etc.). If you know where the stray animal belongs, let us know the address so we can make contact with the owner. Please provide your name, phone number and/or address in case the Animal Control Officer needs to get more information from you about your complaint. Your information will be kept confidential. Q: Where do the Animal Care and Control Officers take the animals they pick up? A: Immediately go to the Robstown Animal Care and Control Shelter to see if your pet has been brought in. Check with your neighbors to see if they have seen your dog. You may also want to check the lost and found section of the local newspapers and/or place ad there yourself. Q: I received a citation from an Animal Control Officer. How much will the fine be? A: Contact the City of Robstown Municipal Court at 361-387-4589 to determine the amount of the fine. Remember, you have ten (10) days from the date the citation was given to you to respond to the Municipal Court. A: Rabies is an acute viral disease that attacks the nervous system, resulting in paralysis and almost certain death once the symptoms appear. The rabies virus is present in the saliva of the rabid animal. The most common way the disease is spread is by a bite from an infected animal. Though rare, rabies also can be spread if the infected animal’s saliva comes in contact with fresh scratches, open wounds or mucous membranes such as the lining of the eyelid. A: If your dog or cat has been in contact with one of the following high risk animals: skunk, raccoon, bat, fox or coyote, contact Animal Care and Control immediately for guidance. If the wildlife animal is dead or can be caught then it will be shipped for testing. You are also advised to consult with your veterinarian as your pet may need vet care for injuries. Booster rabies vaccination may be given if your pet is currently vaccinated, or a series of vaccinations if it is not currently vaccinated. A: No. Your dog must be confined at all times. You must have a sufficient fence or your dog must be humanely chained in such a manner that he cannot leave your property. Failure to properly confine your dog can result in a fine and/or citation to Municipal Court. Q: Is it okay to feed stray dogs and/or cats? A: No. Feeding stray animals on your property can result in you being deemed the owner of the animal. If you have a stray animal, you should contact Animal Care and Control to collect the animal and care for it. A: If wildlife is constantly present on your property, you need to identify what is attracting them. Pet food left out during the evening hours and open garbage containers are usually the problem. If a trap is needed, contact Texas Parks and Wildlife for help. If you have crawl space under your house or shed that has open access holes, you are inviting wildlife to move in. Cover all areas of access with a solid, sturdy material. If a critter has already set up its home under your house or shed, then block all access points except one. Before dark, sprinkle flour around the front of the access hole and check periodically throughout the evening until you see tracks leading out. Cover the hole after you are sure that no wildlife will be trapped under your house or shed. If you have taken all the above steps and still have a critter problem, then trapping may be the only solution. 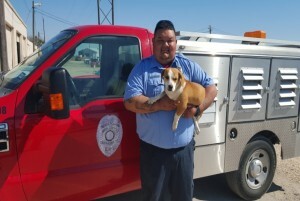 Animal Care and Control Operations is responsible for protecting the health and safety of the citizens and their pets in the City of Robstown. One of the primary missions of Animal Care and Control is rabies prevention. RACC has a dedicated staff of Animal Care Officers whose main focus is investigating biting animals. Texas state law requires that every animal bite or scratch must be reported and quarantined as required. These animal bites can be reported 24 hours a day, 365 days a year. Find additional information regarding animal bites (see below). Cruelty to animals is a serious offense. Animal cruelty comes in many forms such as an animal not having food, water or shelter. Other forms of animal cruelty include an animal being locked in a hot car or an animal being beaten or tortured in some way. Animal Care and Control relies on good neighbors to report acts of cruelty. If you witness an act of cruelty, please call and make a detailed report including your call back number so we may get more information if needed. You can remain anonymous if you wish, but it’s important you provide us with as much information as possible. Animal Cruelty Investigators review all reported calls of cruelty or neglect and will further investigate a suspected case if cruelty or neglect can be legally proved. If you are calling to report animal cruelty after normal business hours, please contact the Robstown Police Department at 361-387-3531. Every citizen of the City of Robstown wants to be a responsible pet owner. Listed below are a few common sense rules that each pet owner needs to follow to become a responsible pet owner. Recognizing that ownership of pet(s) requires an investment of time and money. Keeping only the type and number of pets for which an appropriate and safe environment can be provided, including appropriate food, water (24 hr. access), shelter, health care and companionship. Preventing your pet(s) from negatively impacting other people, animals and the environment, including proper waste disposal, noise control, and not allowing your pet(s) to stray or become feral. Making alternative arrangements if caring for your pet is no longer possible. WHAT SHOULD I DO IF I’M BITTEN OR SCRATCHED BY AN ANIMAL? Call the City of Robstown Animal Care and Control immediately to capture/quarantine the animal. When you call, make sure to identify the animal. Provide a description of the animal, including color, breed, and the owner’s name/contact information, if known. If it is an owned dog, cat or other warm blooded pet, it must be quarantined and observed for signs of rabies. If it is a wild animal, Animal Care and Control will submit the wild animal for laboratory testing. Immediately wash the would thoroughly with soap and hot water. Consult a physician as soon as possible to determine whether anti-rabies treatment is needed. WHEN AN ANIMAL BITES OR SCRATCHES A PERSON, WHO IS IN CHARGE? 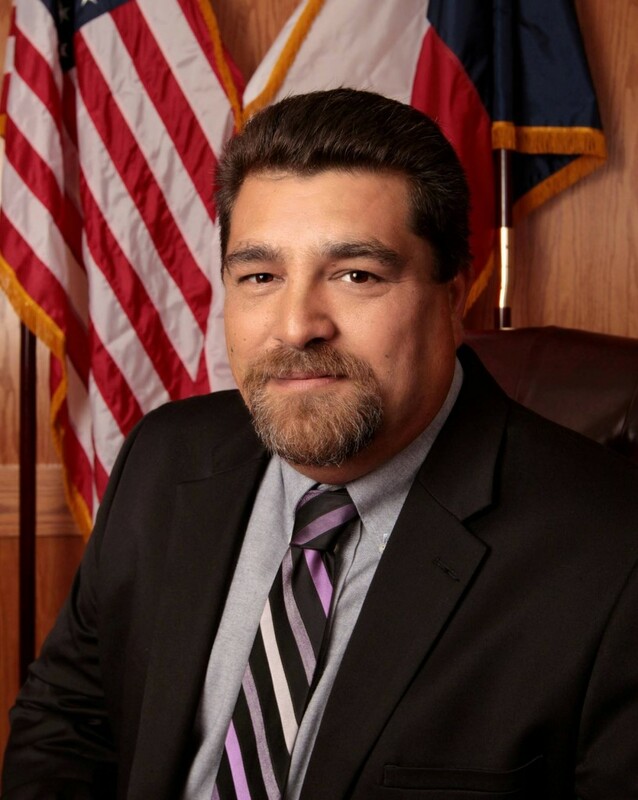 The City of Robstown designates a State of Texas Certified Animal Care Officer to handle animal bite cases (VTCA-Sec.826.017, RCO-Sec. 2.05.004). 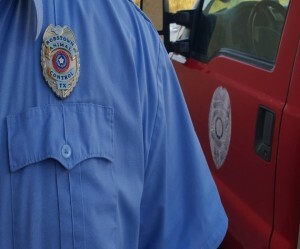 The Animal Care Officer enforces the Rabies Control Law including the Rules of the Texas Board of Health, and enforces the City of Robstown Code of Ordinances pertaining to animal control (VTCA-Sec. 826.017, RCO-Sec. 2.05.003). The Animal Care Officer is responsible for investigating animal bites. (VTCA-Sec. 826.017, VTCA-Sec. 826.041©, TAC-169-25 ©, RCO-Sec. 2.05.004). WHAT HAPPENS TO THE ANIMAL THAT BITES OR SCRATCHES A PERSON? Regardless of vaccination status, the biting animal must be quarantined for ten (10) days or humanely destroyed. A pet that has current rabies vaccination may be quarantined at home if approved by the Director of Robstown Animal Care and Control or at a Vet Clinic who has been approved by the State as a quarantine facility. If humanely destroyed, the Animal Care Officer will be required to submit the brain to the State Laboratory for testing. If the animal is to be quarantined, the observation period will be ten (10) twenty-four hour periods or 240 hours from the time of the bite (VTCA-Sec. 826.042, TAC-169.22(19), TAC-169.25(b), TAC-169.27(a), RCO-Sec. 2.05.003). If the biting animal is known carrier of rabies, such as skunks, bats, foxes, coyotes or raccoons, they shall be humanely destroyed and submitted for rabies testing (TAC-169.22 (11), TAC-169.27©, RCO-Sec. 2.05.003). Opossums, shrews, moles, squirrels, gophers, mice, rabbits, rats, and armadillos do not need to be quarantined or tested, unless the Animal Care Officer has reason to believe that the biting animal has rabies. Quarantine means placing the dog or cat in a State approved facility that provides absolute isolation with no possibility of escape. The quarantine observation period is 10 days from the date of the bite or scratch. After the observation period the dog or cat will be checked by a veterinarian licensed in the state of Texas. If the veterinarian deems the dog or cat healthy, he/she will be released from quarantine. While in quarantine, the dog or cat cannot have contact with other animals or persons and must be observed daily by a qualified person (VTCA-Sec. 826.002(9), TAC-169.27(a), CD6-Sec.6-240). The Director of Animal Care and Control may authorize home quarantine if: The biting animal was currently vaccinated and was not stray/loose or roaming beyond the owners property at the time of the bite(VTCA-Sec. 826.002(11), TAC-169.22(A), TAC-169.22(28), TAC-162.27(2), TAC-169.27(4), RCO-Sec. 2.01.002). The victim is a member of the family of the biting animal (VTCA-Sec. 826.015). The dog/cat owner’s personal vet observances the dog/cat at least on the first and last days of the quarantine period (TAC-169.27(3)). WHAT IF THE ANIMAL GETS SICK OR DIES WHILE IN QUARANTINE? If the animal becomes sick or dies while in quarantine, Animal Care and Control will submit the animal for testing to determine if the biting animal exposed the victim to rabies. The victim shall be notified by the City’s Animal Care and Control Department if the quarantined animal becomes sick or dies, so that they may receive consultation for treatment or rabies (VTCA-Sec. 826.043(b)). Texas State Law requires the owner of a biting animal to pay the cost of quarantine ((VTCA-Sec. 286.043©. WHAT IS CONSIDERED CURRENTLY VACCINATED AGAINST RABIES? Texas State Law requires that owners of dogs, cats, and ferrets be vaccinated against rabies by four months of age and given a second inoculation against rabies one year later, then tri-annually thereafter (VTCA-Sec. 826.021, TAC-169.29). The City of Robstown, however, requires that the animal receive a yearly inoculation as well as a city license (RCO-Sec. 2.04.001, RCO-Sec. 2.04.004). Texas State Law requires that rabies vaccines for animals must be administered by a licensed veterinarian, or under the direct supervision of a veterinarian. Rabies vaccine can be only sold to veterinarians. Veterinarian cannot legally sell vaccine to their clients. Veterinarians must issue a completed rabies vaccination certificate for dogs, cats and ferrets (VTCA-Sec.826.021(b), VTCA-Sec.826.023, TAC-Sec. 169.29(b)).